A court case between Tyson Foods' Hillshire Brands and Parks, LLC about the marketing of hotdogs has come to a close with the 3rd Court of Appeals believing that Tyson's high-end line of hotdogs, called "Park's Finest" wouldn't confuse shoppers who were looking for Parks, LLC brand of hotdogs. The case was put under seal for the time being, while the two sides decide whether or not they want it to be kept confidential. 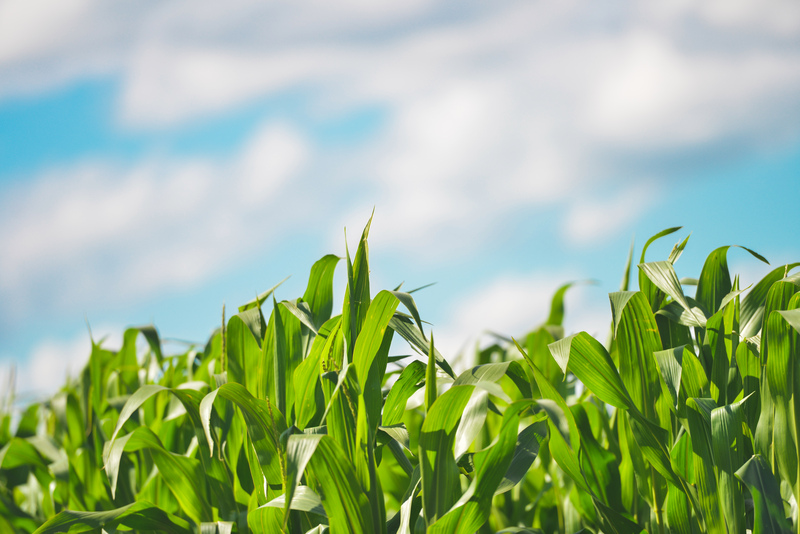 Informa Economics has released it's latest update on the US corn, soybean and wheat crops. They pegged the US corn production for 2017-2018 at 14.166 billion bushels, up slightly from previous projections on larger harvested acreage; while projected yield was brought down to 169.7bpa from their earlier guess of 170. In beans, production was lowered slightly to 4.253 billion bushels, with yields dropped .1 of a bushel from 48bpa to 47.9. The all wheat number came in at 1.783 billion bushels, with 434 million of that being spring wheat. The Fed Cattle Exchange online sale happened yesterday at 10am, with a little over 2,000 head listed for sale. 429 head were sold at an average price of a little over 117.50, which did seem to prompt some negotiated cash trade in the countryside Thursday, with most of the cash trades coming in at $118. The French government announced that it will forbid sales of gasoline and diesel engine vehicles after 2040, claiming that this move is a "revolution" in the fight against climate change. This news came just a day after Volvo made a similar announcement, saying that all of their vehicles will be electric or hybrid by 2020. The EU and Japanhave signed a formal trade agreement which will work towards eliminating and reducing tariffs between the two with a focus on Dairy and Autos. The deal is anticipated to take up to 15 years for full "free" trade to be enacted. On Wednesday, big news was released by the EPA in regards to the 2018 RFS standards. RFS requires increased volume for renewable fuel every year, but for the coming year the EPA has said they will not be raising the requirements. Current requirements are set at 15 billion gallons for ethanol and 4.2 billion for advanced biofuels. Walmart released a statement just prior to the Fourth of July about their transition to selling "verified" Angus beef. As a way to differentiate themselves from competitors they will now be selling the verified Angus beef as their top line of meat. The retailers normal "certified Angus Beef" is a branded product which will prohibit Walmart from selling under that name, but the Walmart officials say the verified beef will be held to similar standards. As oil and gasoline prices continue to plateau at the pump, Saudi Arabia, one of the world's largest oil and petroleum producers, is speculated to keep prices down until the end of 2017/beginning of 2018. The government is waiting to increase prices to see how the markets react this year and where prices head so they don't stifle economic growth.